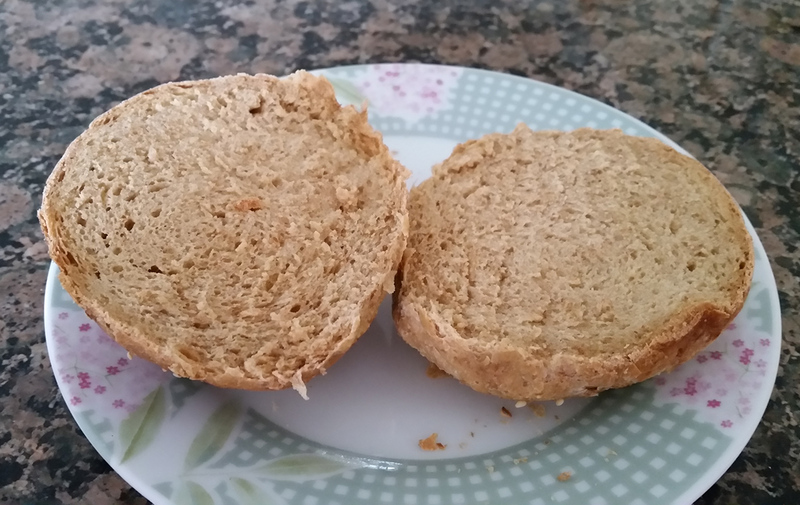 Submitted by PetraR on March 29, 2015 – 11:10am. 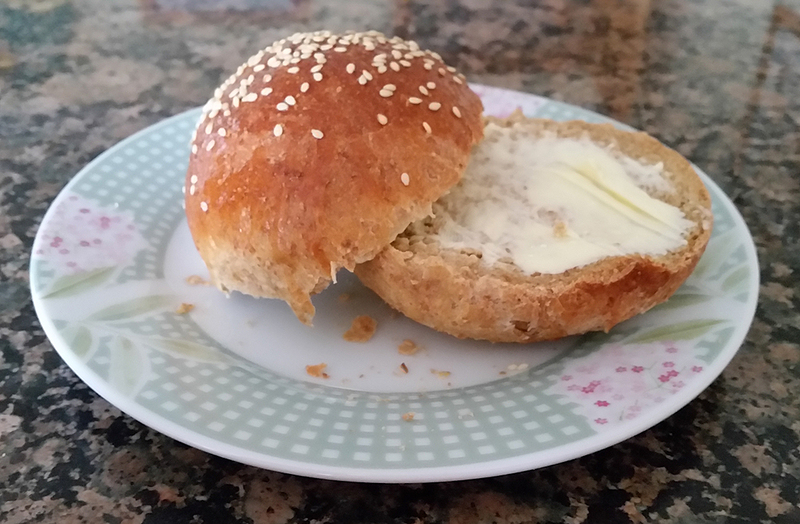 I baked these bread rolls today and thought I share the recipe with you. First Image shows the rolls fresh out of the oven and cooling. Second Image shoes the crumb of the roll. Third Image shows MY ROLL with butter , I had to be quick before they are all gone again like yesterdays batch lol. Mix all ingredients together and knead until you get a smooth and elastic dough. Form dough into a ball and put in an oiled bowl, cover with plastic wrap and bulk ferment until doubled in size or up to 2 hours. Degas the dough divide 10 , shape into 10 small boules and put seamside down on a parchment lined baking tray. Brush the rolls with egg wash and sprinke with sesame seeds. Bake rolls for 10 min. at 250C, turn down the heat to 200 C and bake for 25-30 min. If they brown to fast just cover with some aluminium foil.